Classic Round Diamond Engagement Ring in 14k White Gold | Shane Co. Words will escape her when you present this classic and breathtaking diamond engagement ring. Eight round diamonds, at approximately 1.65 carats total weight, create a dazzling backdrop for the center diamond of your choice and have each been hand-matched for consistent fire and color. 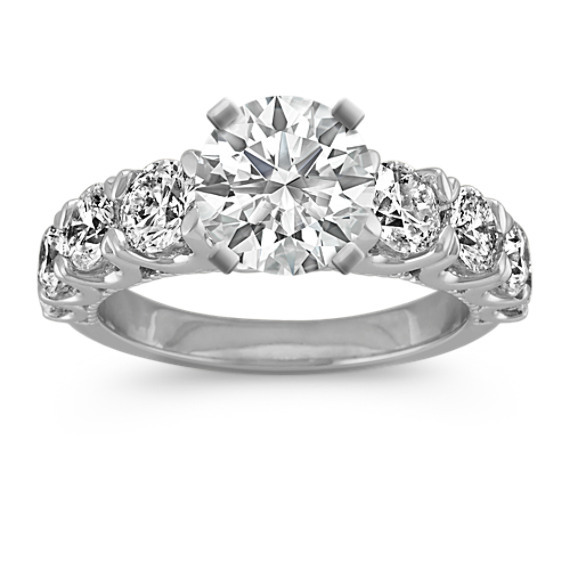 This engagement ring setting is crafted of quality 14 karat white gold and is complete with a delicate milgrain detailing.